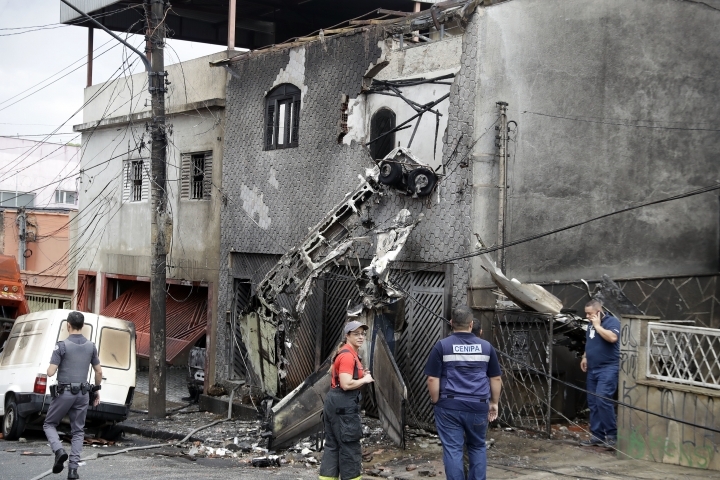 SAO PAULO — A small plane crashed into a residential neighborhood in Brazil's biggest city Friday, killing at least two people and injuring a dozen, firefighters said. 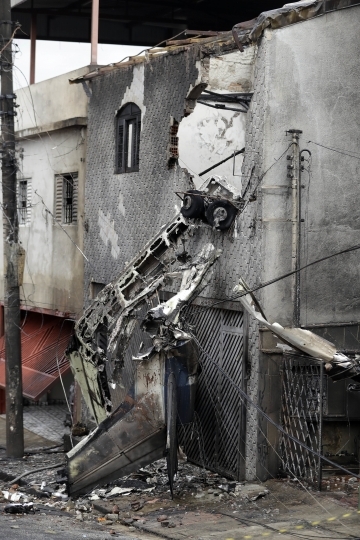 The charred remains of the single-plane spilled from a hole in one of the three homes it hit near Sao Paulo's small Campo do Marte airfield. Two cars in front of the building were also smashed. A firefighting spokesman told The Associated Press that the bodies of two people were pulled from the wreckage of the six-seat Cessna 210 Centurion. Spokesman Andre Elias said it wasn't immediately clear if the plane was carrying more than two people. 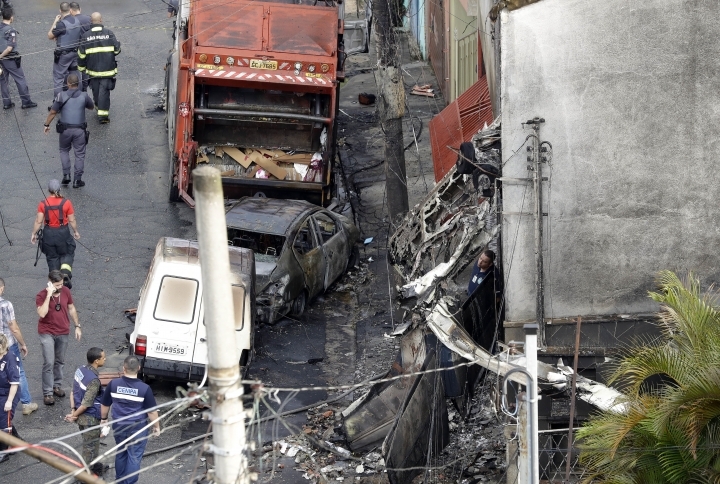 The plane was headed to the city of Jundiai and crashed shortly after takeoff. Elias said the 12 injured were taken to nearby hospitals and none suffered life-threatening injuries. 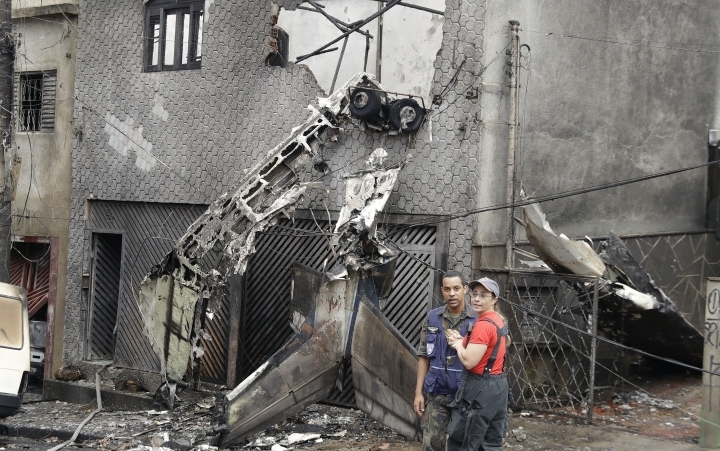 Seven of the injured were passers-by who were hit by wreckage from the plane and five were inside the three homes.